Experience the sights, sounds, and flavors of Cincinnati’s historic public market! I found my passion at historic Findlay Market when my husband Barry and I opened our fresh produce and specialty shop called Daisy Mae’s Market. I discovered that our store was just the starting point for sharing our love of food and connecting with the Greater Cincinnati community. I launched Cincinnati Food Tours in 2012 as a way to introduce visitors to Findlay Market, share culinary experiences, and spread my enthusiasm for the Over-the-Rhine neighborhood. Cincinnati Food Tours continues to grow, exploring new neighborhoods and adding new small business partners. I invite you to join us as we share food, culture, and history one step at a time. Whether you are a tourist in your own town or you are visiting Cincinnati for the first time, we’ve got a tour for you! We are proud recipients of the 2018 TripAdvisor Certificate of Excellence and have been recommended in the New York Times (again!) and the Chicago Tribune. 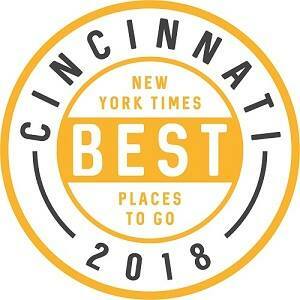 Read "36 Hours in Cincinnati"